14-year-old Ophelia Lorenz out-spelled 56 other students to take home the title. 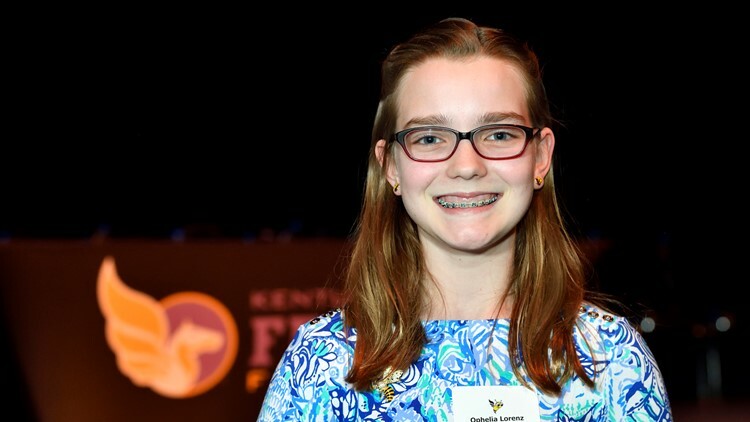 LOUISVILLE, Ky. — A St. Agnes student has a small-breed dog to thank for her recent spelling bee win. 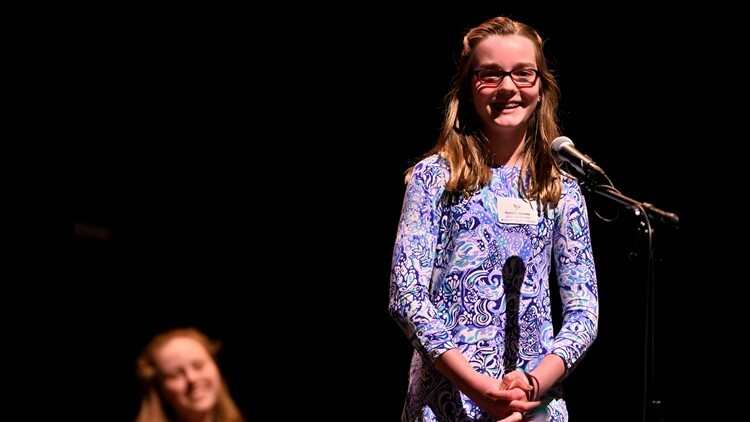 With the word "Chihuahua", 14-year-old Ophelia Lorenz of Louisville won her first Ford Motor Company Derby Festival Spelling Bee on Saturday. Lorenz beat out 56 other students from 54 counties at the Kentucky Center for the Arts. She represented Jefferson County Catholic Schools in the annual competition. "I was very nervous and, honestly, surprised that I made it to the top 5, let alone winning," Lorenz said. She also loves to read and believes that her passion for literature helped guide her to victory. For the win, Lorenz received The Fillies Scholarship Fund, a $10,000 savings bond at maturity from the Kentucky Derby Festival Foundation. She also received a Britannica online subscription gift certificate, a copy of Valerie's Spelling Bee Supplement, and the classic spelling board game Scrabble. She will also get to ride on the Winner's Float in the Pegasus Parade on May 2. Runner-up in this year's competition was Allison Whelan from Nelson County. Third place went to Aathman Bhavaraju of Franklin County, fourth place went to Quentin Voigtschild of Lawrence County, Indiana, and Briahna Higgins from Logan County won fifth place.